I'm a little bit excited to say the least. This is a 2007 Harley Davidson StreetBob. It's got a 96 Cubic Freedom Units. That translates to 1,573 CCs (more than most European market cars). 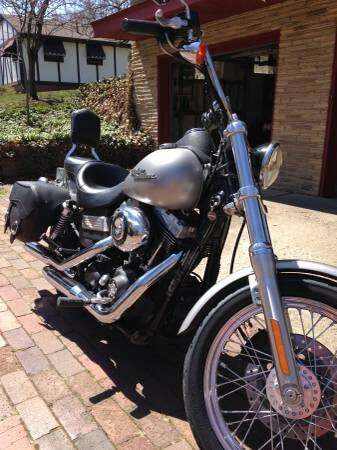 I'm gonna take the bags and backrest off and throw some highway pegs on it right away. I know that HD isn't the Jalop way but unless you have ridden one I don't want to hear it! They are just too fun, and I'm not defining any stereotypes.